Destructoid’s love affair with the inimitable, idiosyncratic Deadly Premonition is a point of public record. Jim’s infamous, glowing, 10/10 review turned a lot of people onto the game -- myself included -- and for that we are as thankful as Resident Evil 6 are indignant. Or, if you’re playing along at home, substitute any game that we score low. “[x] gets a [y] when Deadly Premonition gets a 10,” the commenter scoffs and chortles into his Cheetos. We’re all aware, of course, that there are some technical issues in the game. 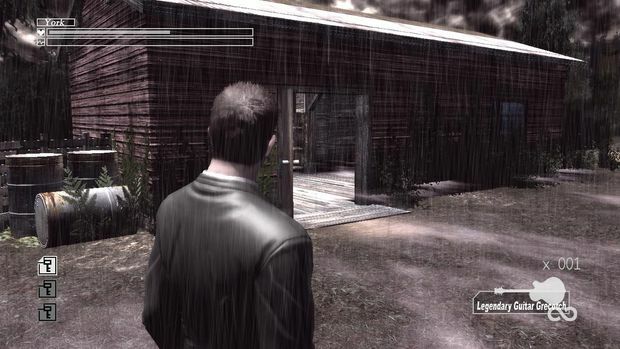 Deadly Premonition’s release was a rare one. A Japanese studio was developing, plainly, for a Western audience. The project was helmed by a man, SWERY (or SWERY65), committed to his bizarre vision and allowed creative control. That something so unique and personal got a retail, console release was amazing enough. The team being able to revisit the title to address niggling concerns, beautify it, and add content just seems unreal. 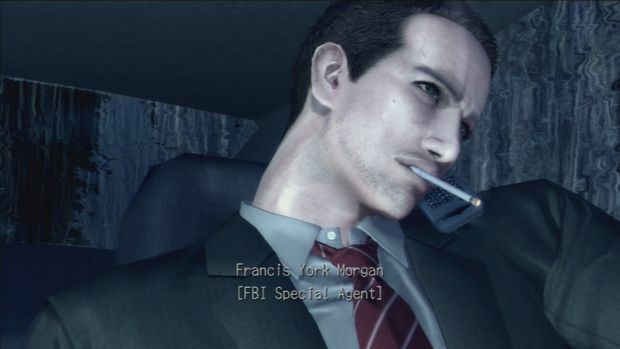 Yet, that’s precisely what’s happening with Deadly Premonition: The Director’s Cut. From the onset, things are looking good. We funnel into a room and shake hands with SWERY and Tomio Kanazawa, who does SWERY’s more laborious translating. Kanazawa is a producer and the Vice President of Toybox Inc., where he works with Harvest Moon creator Toybox founder Yasuhiro Wada. The two know each other from Marvelous, where Kanazawa was a producer and Wada the eventual CEO. Marvelous published Deadly Premonition in Japan. There’s more than a little luck to the game’s perseverance and eventual release. Kanazawa and SWERY have been working together for some time now and will continue to do so for the foreseeable future. At first glance the two seem rather juxtaposed. Kanazawa sits upright in a sensible black blazer and fields questions. SWERY is laid back on the couch as if at a Roman banquet, his eyebrows contorting with life behind black, thick framed glasses. But their great relationship quickly becomes evident. Later in the interview, after talking Revenge of the Killer Tomatoes and even more obscure 80’s flick Gotcha! while driving around in Deadly Premonition, Destructoid video personality and generally debonair gent Spencer Hayes (expect an on camera interview soon) asked if any new in car diatribes were among the game’s new additions. SWERY’s eyebrows emoted further still as Kanazawa explained how SWERY had written a bunch more but, “I had to say ‘no,’ there was not enough time,” he offered, a tad bereft. “He was so upset,” Kanazawa continued, laughing. “He still complains,” Kanazawa smiled as SWERY, who plans to add those lost dialogue pieces to his blog post release, presumably complained a bit more. While driving around we were shown one of the new additions, a response to criticism of the game. The minimap caught flack for being too small in relation to the large environment. Though it looked rather massive on the enormous set the game was being demoed on, it was a surprise to see a translucent version of the minimap then expand further over much of the screen while York was still driving. Cool. The first thing that struck me when I took a look toward the TV was Deadly Premonition’s remarkable sharp, clean title menu. When you start a new game, gone is the difficulty option, the harder iterations of which previously kept some players from completing or continuing with the game. SWERY wants people to play the game, wholly and to the end. The visual upgrade is obvious. As we open up to a mutilated corpse of a girl eerily strung up on a tree, details that were previously lost are for the first time seen, like a clear demarcation of tears on the ghastly face. Mind, it isn’t an entirely rebuilt game. It still shows age and budget, but it also looks damn good. This is a proper director’s cut, of course, not just an HD rebuild. 3D and PlayStation Move support have both been integrated into the game. In the realm of controls, the default scheme has been remapped to better match the expected third-person shooter scheme (right analog to aim and so on; you’re still stuck in one place when shooting). “This game is too unique,” SWERY offered. There’s a concerted effort to appeal to a new audience as well as possible (better visuals, slightly more standardized controls) without compromising the game. Additional scenes, from SWERY, have been added to Director’s Cut. There is a new prologue, for instance, that then cuts right into the introduction fans are familiar with. SWERY also wrote an epilogue that he says will address certain concerns over narrative elements. “It was not difficult to write the new ending,” he said, noting that after three months of discussion he was able to write it in a week. The pair insists that the additional content was handled so as to “not destroy the original story.” The DLC will not be story-based, either, though further details are being kept under wraps. There haven’t been too many fundamental additions in terms of gameplay beyond fixes and the like, either. 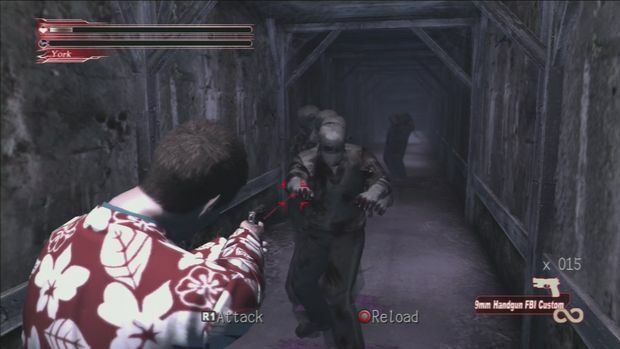 When asked if there were any new weapons, Kanazawa responded with a negative, mentioning there were already so many unique weapons, “like a guitar, like a rock star,” at which point SWERY, behind him, pantomimes Pete Townshend going to town on a guitar. With a custom moniker like SWERY (or SWERY65), you might expect a bit of the rock star persona in the chap, but there’s no hint of ego here. Just a calm fluidity, affable nature, a penchant for obscure American culture, and those wild eyebrows that add life to every expression. At one point during the demo SWERY gracefully, silently elevated himself from his laid back position and opened the inexplicably closed air conditioning vent in the slowly overheating room and laid back down. It was strangely cool (pun intended), and relished. Speaking of relish, he loves hamburgers. SWERY’s simultaneously placid and plucky demeanor are a fit for Deadly Premonition’s peaceful, small town vibes. In talking about the town and why he chose to set the game there, he mentioned how its peaceful nature contrasted sharply with the horrific depravity occurring there. Making the normal seem alien is an effective horror tool. “Something you are always watching in your normal life begins turning into horrible things,” Kanazawa translated. But don’t call it a survival horror game. 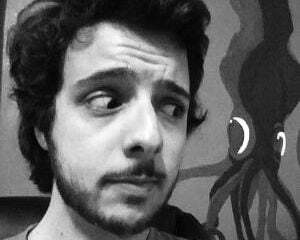 “Sometimes the game is categorized as survival horror but he did not mean for it fall into this genre,” Kanazawa explained. “Solving the mystery is the main part of the game,” he added, likening it to the detective story it is in spite of more otherworldly horror elements. Of course, just breathing in the daily life of the town is a main part of the game, by which you’re breathing in a part of SWERY. There is a squirrel obsessed character in the game because squirrels are uncommon in Japan, but we’re filthy with them. Similarly, one of the times SWERY was here researching for Deadly Premonition he stumbled upon a scene in which two individuals sat separate from each other at a cartoonishly long table. That scene made it straight into the game. 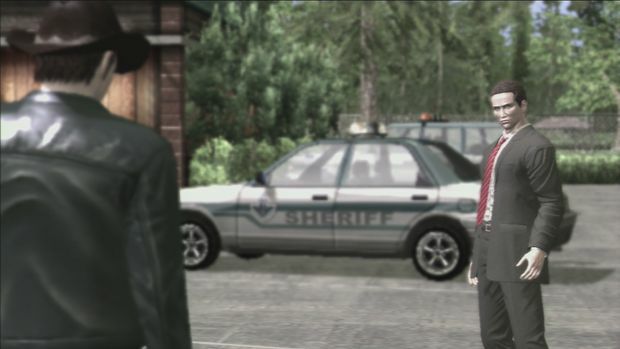 If you haven’t played Deadly Premonition yet -- and even if you have -- you owe it to yourself to pick up the Director’s Cut. It’s unlike anything out there and brimming with personality. That the game even exists defies credulity. Countless times the duo was told to stop making it. It was almost cancelled multiple times. It was almost given a rating that would’ve made it unsellable. It had little appeal to the Japanese audience and did poorly there. 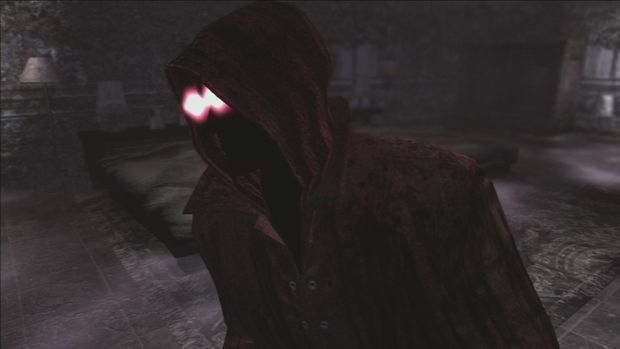 In spite of this, Deadly Premonition and its creators have persevered. And now we’re getting a full-fledged director’s cut. Do you feel that, Zach? That’s a heartwarming success story in an occasionally bleakly unoriginal industry. It feels good.